Differences between Perennials and Annuals – What’s Best for My Garden? WELCOME FRIENDS, Come learn with us! As a novice gardener, I need to know what is the difference between perennials and annuals? Whenever I went to the nursery, I was confused by the terms “annuals” and “perennials.” When choosing plants for your garden it’s important to know the difference, so I thought I would share some of what has made it easier for me to remember. However there are exceptions, some tropical plants are perennial in a tropical climate, but in Utah’s colder climate, they are annuals. They die every winter and need to be replanted as a new plant. Geranium, Impatiens, and Bougainvillea are good examples of annuals. Perennials that do well in our climate are a different story. Perennials survive our Utah winters in the growing zone 5. They bloom again year after year. The tradeoff is that perennials have a definite blooming season and don’t bloom all summer long. Usually they bloom from a couple of weeks to a couple of months. There are many varieties from evergreen, to shade tolerant, or even drought tolerant. Most die to the ground in fall or winter and spend most of winter dormant. Most perennials like well-drained soil with plenty of organic material in it. So basically, that’s the difference between perennials and annuals. How long they survive in the climate zone you live in. In the Salt Lake Valley, we are usually a zone 5, and sometimes can be a zone 6, so be sure and talk to one of our expert gardeners to make sure you get the perfect plants for your soil and landscape. Placing a plant in a good site, in a place it will thrive, is one of the most important differences that will make your flower garden successful. In my yard I have hot, sunny sites, cool shady sites, and everything in between. I am always careful not to place a plant that prefers shade, like a Hosta, Fern, or Begonia in a hot sunny spot because it will do poorly. A hosta in the sun will show it’s displeasure with burned, scorched leaves. However, planting a peony, Petunia, or Sunflower in the shade will not produce good results either. Any of our gardeners can help you identify which plants do best in sun, shade, etc. Most soils in Utah are either clay or sand based (like my garden) and will do very well with some organic amendments. For perennials create a 50/50 mix with existing soil. For annuals simply spread a 2-3″ layer of organic amendment evenly on top of the existing soil, then dig or till it in. The hole for perennials should be about twice as wide as the container and an inch or so less in depth. 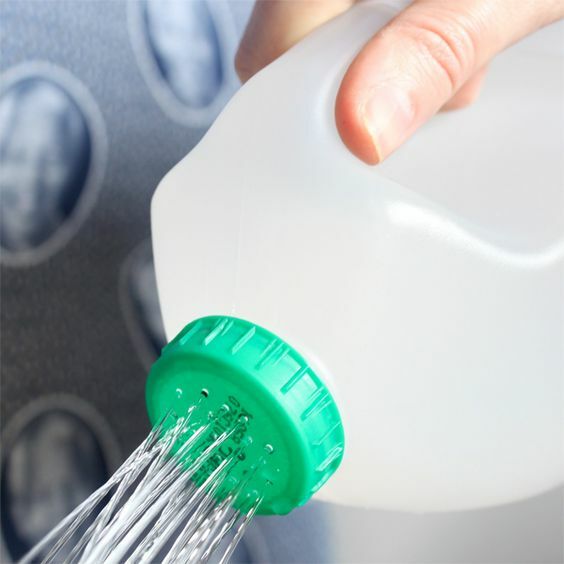 Place the plant in the hole after popping it out of the container. If it’s root bound (lots of white roots wrapping around the soil ball), use a short blade utility knife to make a few shallow, vertical cuts around the root ball to stimulate new root growth. Press the root mass into the hole to make sure there are no voids under the roots and water well using a root starter (we can help you with that at Western Gardens too). Our garden experts at Western Gardens have a lot of great suggestions to help you get your flower garden blooming all summer long. From root starter to organic compost, we have everything you need. 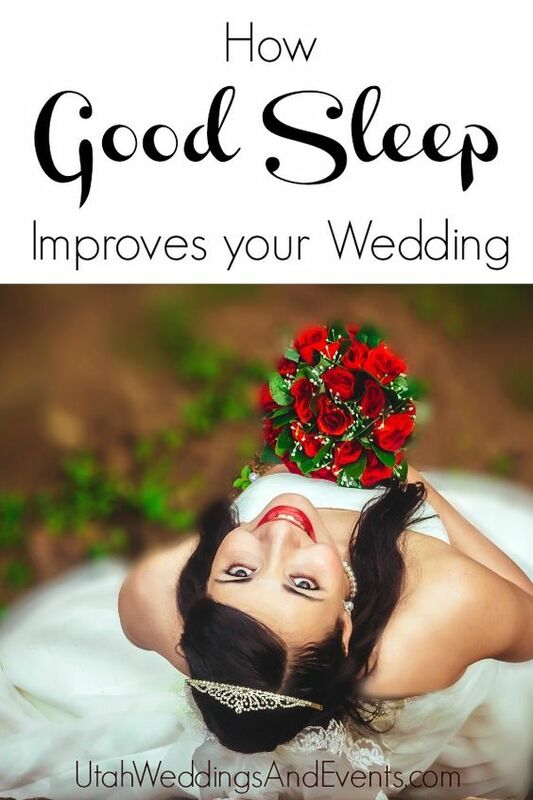 Be sure to visit us on Facebook for specials and daily tips. What do some of you expert gardeners do to keep your flowers strong and healthy. 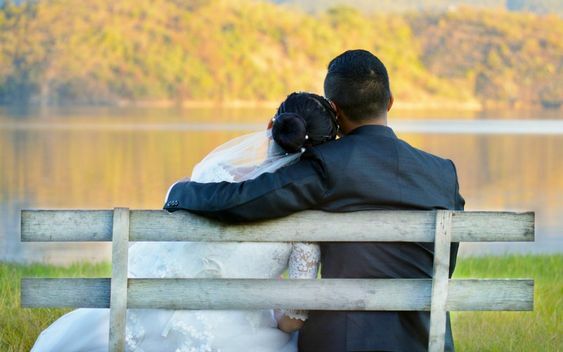 Feel free to share your experiences here too. Welcome Gardening Friends! Good to see you again. I love to plant summer blooming flowers and I’ve been dreaming of a cut flower garden all winter. My dream started last fall when I decided to add more spring bulbs to my garden so that I’d have plenty of flowers for cut arrangements. There is something wonderful about bringing your own beautiful blooms indoors and sharing them with friends and neighbors. As I contemplated spring additions to my flower garden, I decided I also needed to add some summer and fall blooms. Specifically, I wanted to add lilies, gladiolas, and dahlias. These summer flowers are usually not available in late fall, so I patiently waited for them to arrive at the store this spring. 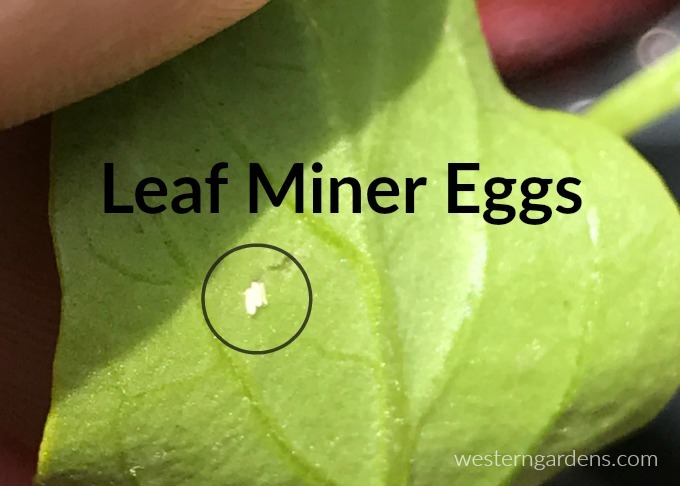 Now it’s time to plant and I’m so excited to share with you everything you need to know about planting these beauties! Lilies are such gorgeous flowers. Their sturdy stems and large flowers make them great for cutting. There are two main varieties of lilies that we carry at Western Garden Center: Asiatic and Oriental lilies. Asiatic lilies bloom in early summer. They come in a wide range of colors and heights. Oriental lilies tend to bloom later than Asiatic varieties. Oriental lilies like Casa Blanca and Stargazer are wonderfully fragrant. Western Gardens carries lily bulbs in early spring and potted lilies later in the season. Asiatic and Oriental lilies are cold hardy perennials in Utah and will winter over. Lilies bulbs are scale bulbs and do best if planted as soon as possible. They prefer to be planted when the soil temperature is below 60 degrees. This helps their roots establish before it gets too hot. They need a sunny location with rich organic soil. I amend my soil with Bumper Crop® Soil Builder to give them the best possible start. I plant the bulbs 6- 8 inches deep and 6 inches apart. Plant them in groups of three to make a powerful statement. Make sure they had plenty of room, they don’t like competing for resources with other plants. The picture above gives you a visual of which end should be facing up and which end should be facing down. How I love gladiolas! My grandfather would bring home gladiolas for my grandmother. Gorgeous stately blooms graced her dining room table throughout the summers. I’m planting them for two reasons; first in memory of my grandparents and second because I love how long gladiolas last as cut flowers. Their flowers fade from the bottom of the stem upward. You can continue to cut off the stem as the blossoms fade leaving the fresh blossoms for continued enjoyment. Gladiola corms are available in the spring for planting. I suggest to plant summer blooming gladiolas each weekend for three consecutive weeks so blooms will last throughout the summer. Gladiolas should be planted after the danger of frost has passed. They need a sunny location. Unlike lilies, they don’t have a problem sharing space with neighboring plants. I will plant them 3-4 inches deep and about 6 inches apart. For a greater impact, I plant them in groups of three or more. Gladiolas are not cold hardy in Utah. In the fall, dig them up and store them over the winter until planting them again next spring. The picture above indicates which direction to plant gladiola corms. Dahlias are my favorite cut flower. There are so many wonderful varieties in many heights and colors. Some of the shorter varieties bloom from spring until frost. The larger varieties start blooming in late summer and continue blooming into the fall. Western Garden Center carries dahlias in seeds, tubers, and in plant form. This year I’ve chosen to plant some Dinnerplate Dahlias from tubers. They have amazingly large blossoms, hence their name. Dahlias should be planted in rich organic soil, in a sunny spot, and after the last frost. I am planting mine in pots early so I can get them started. I use Gardener’s Gold Organic Potting Soil. They will remain in pots outdoors for awhile so that when I see that temperatures are going to drop I can bring them inside. After the last frost, I will plant them outside. When planting it is important to give them plenty of room. I make sure each tuberous root has space between itself and its neighbors and then I’ll cover them with soil. Last year’s stem (the eye) should just be barely below the surface. Like the gladiolas, dahlias are not cold hardy in Utah. I will dig up the tubers in the fall and store them indoors over the winter until I plant them again next spring. The picture above identifies the eye of the dahlia and its tuberous roots. Once they’ve all been planted, I’ll feed them regularly with a Gardner & Bloom’s Bud and Bloom Fertilizer. This helps these summer bloomers develop strong roots and beautiful blossoms. I can’t wait for my first bouquets! What are your favorite cut flowers? Please share in comments below. Do you love beautiful flowers? 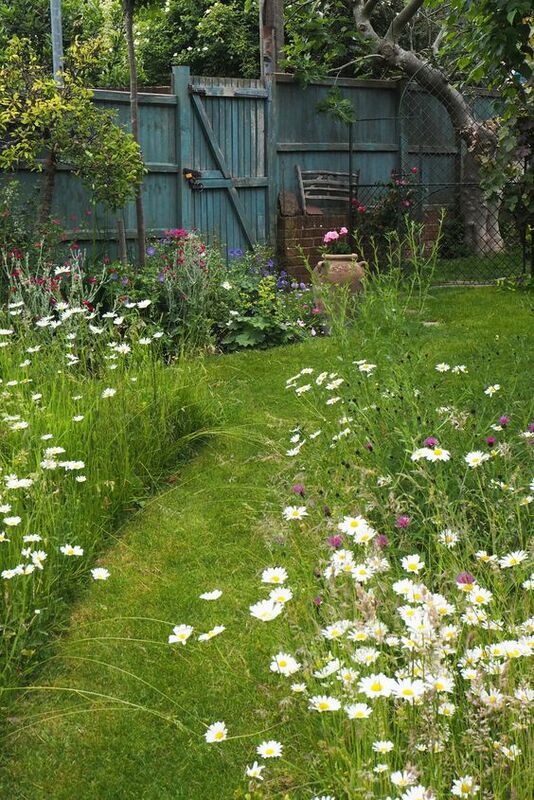 Do you also love NOT spending a lot of time in the garden to keep them beautiful? Then I have the perfect answer for you! 10 low-maintenance perennials that will thrive in your yard and produce beautiful foliage and blooms all season long. Between kids, job, house, husband (and everything else that falls through the cracks), I don’t have time for high-maintenance anything in my life right now. Especially in my yard! Plants have to meet two requirements before they go in the ground here. I’ve learned over the years that anything else won’t survive my crazy schedule and sometimes inattentive care. At one point or another I have had each of the following plants in my yard, and they have all thrived. 1. 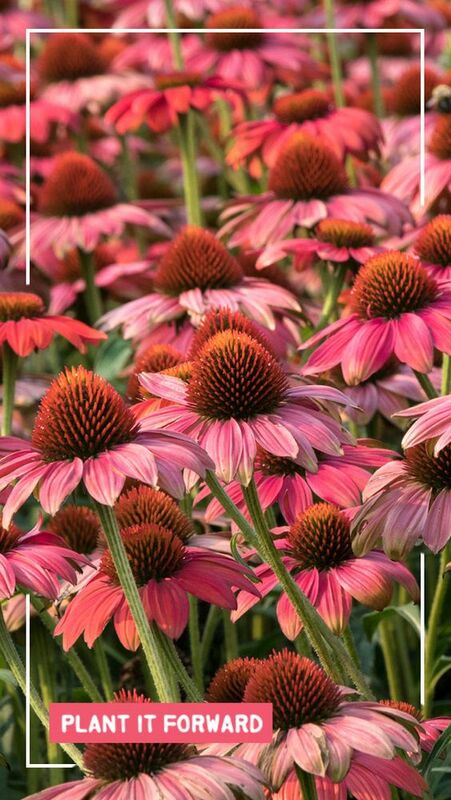 Coneflower – A hardy flowering perennial, the Coneflower will bloom from early summer to fall. 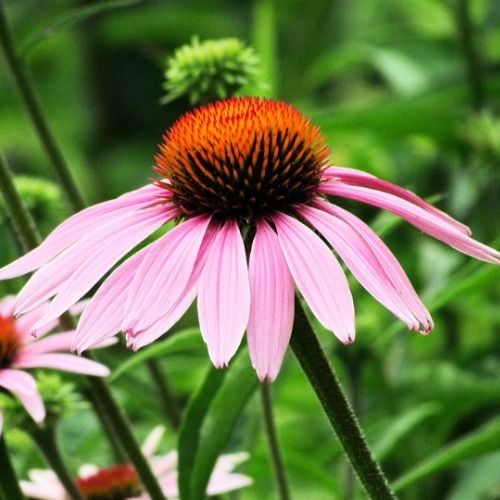 The Coneflower does well in drought conditions and will grow to approximately three feet tall. 2. Iris – The Iris is a multiplying wonder! Its bulbs will increase each year, and you will quickly end up with a mass of gorgeous flowers on tall green stalks. 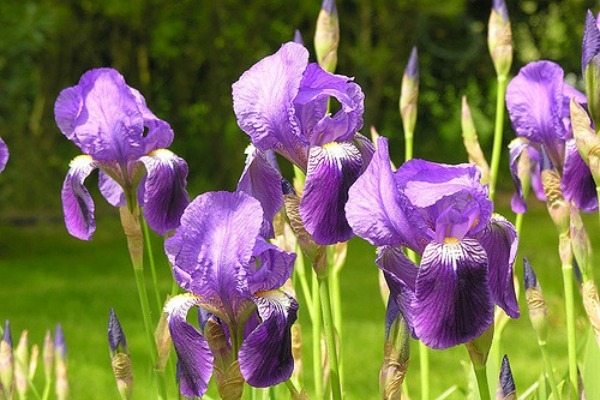 Once they are established, Irises require little care, and bulbs can be split and replanted in other areas of your yard. 3. Chrysanthemum – Chrysanthemums are an easy-to-grow perennial that will provide fall color in your yard. 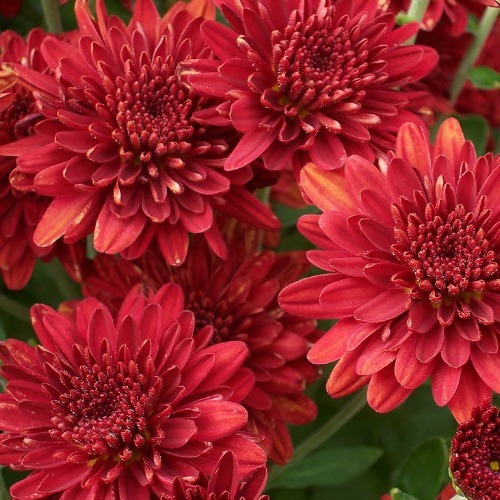 There are several different types of Mums, so make sure to select a garden variety mum that is suitable for your zone. 4. 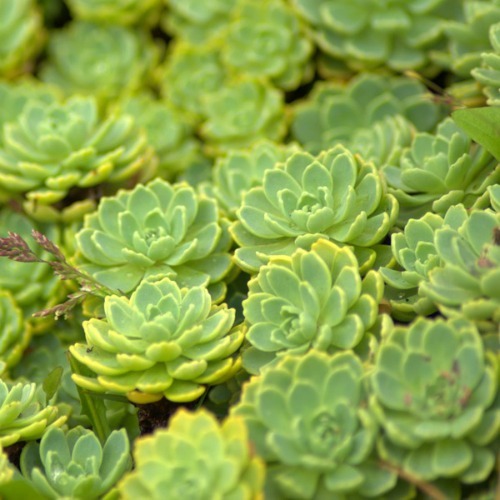 Sedum – Sedum is a wonderfully reliable groundcover. It can withstand heat, disease, and drought – and still continue to grow and spread. I currently have Sedum in a rock wall and it is thriving, even without a dedicated water source. As it spreads, divide it every few years, replanting it in different areas of your yard or gifting it to friends. 5. 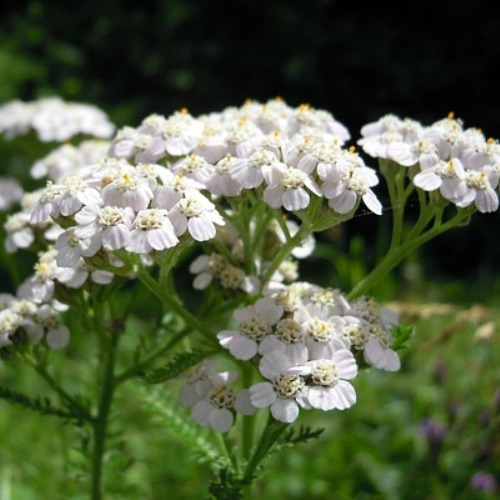 Yarrow – Yarrow is an extremely hardy perennial, and does well in cold, heat, and drought conditions. This plant is also deer resistant, so I have planted it throughout my yard! If deer are a problem in your yard, then don’t miss my favorite 10 deer-resistant plants! 6. Daylily – The Daylily is a workhorse of a perennial. These plants will reward you year after year with luscious green foliage and bright yellow flowers. 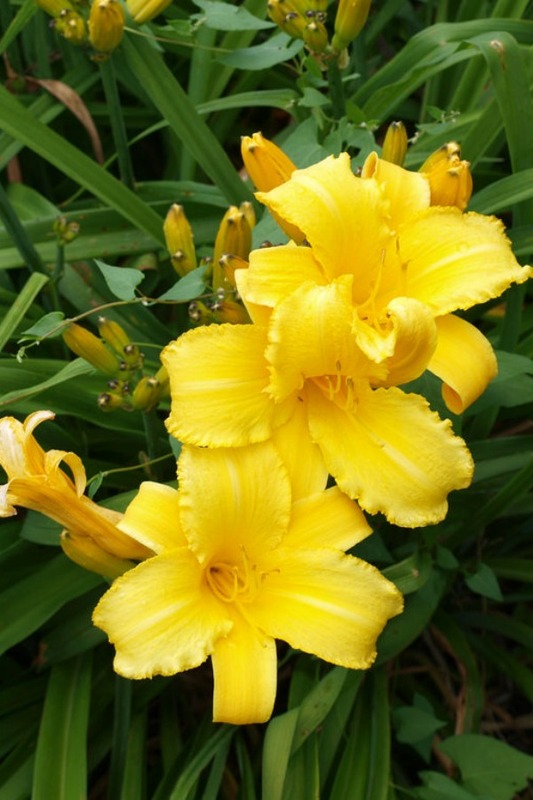 Daylilies require little attention, and they are predictable plants that can also be divided and replanted as they spread. One of the best gifts that I ever received was a bag of Daylily plants that had been divided from mature plants in a friend’s backyard. 7. 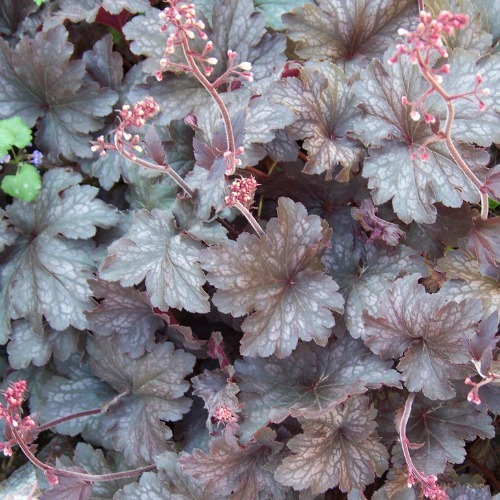 Coralbells – Coralbells are a showy, yet very low maintenance plant. They do well in a location that is partially shaded. This plant has unusual foliage and tiny bell-shaped flowers that bloom on tall, thin spikes. Coralbells spread well, and the flowers shoots give it height. 8. Hosta – Hosta thrives in the shade, and comes in a variety of sizes. I’m partial to Hosta with large, bright green leafs and I love having plants that come back bigger and better each year. My last yard was filled with Hostas, but I have had less success with them in my current yard, because the local deer enjoy them as a snack. 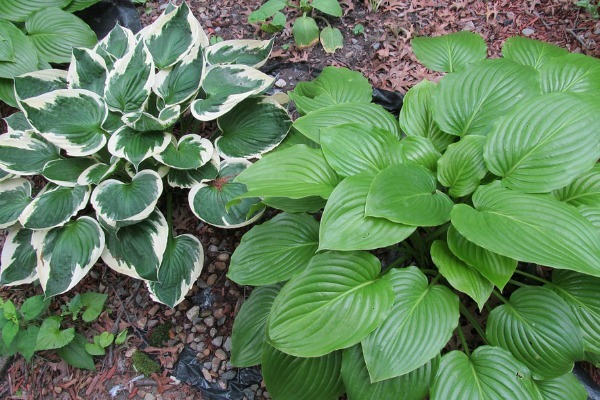 Hostas are very easy to grow, but be mindful of pests that will damage the plants. 9. 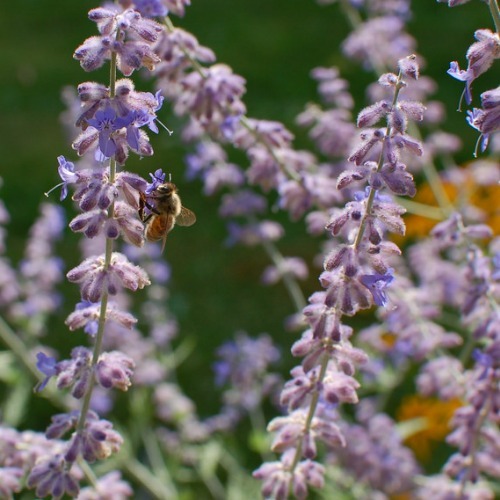 Russian Sage – Russian Sage has light colored, silver foliage and spiky lavender flowers that will cover the leaves from late spring until autumn. This perennial prefers dry conditions, making it a plant that is definitely low maintenance. 10. 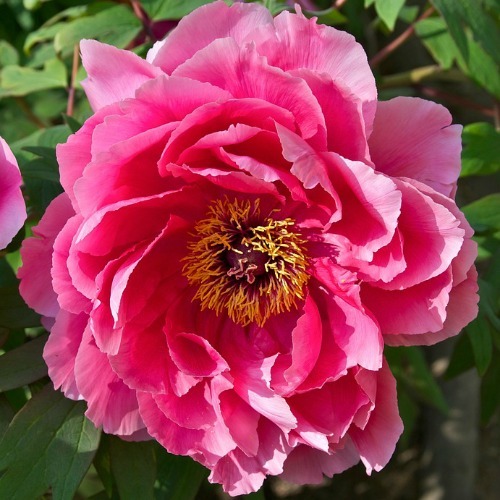 Peony –When I planted my first Peony bush, I was surprised that such a resilient plant could produce such gorgeous flowers. Peony blossoms appear late spring to early summer and their beauty is tough to beat. Peonies comes back year after year, with bigger, showier flowers, and it requires minimal care, making this my favorite perennial! 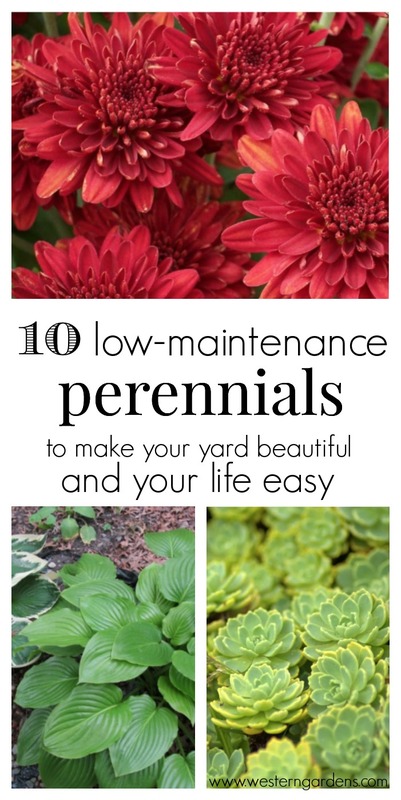 Do you have any of these perennials in your yard? Which is your favorite? Tell us in the comments below!